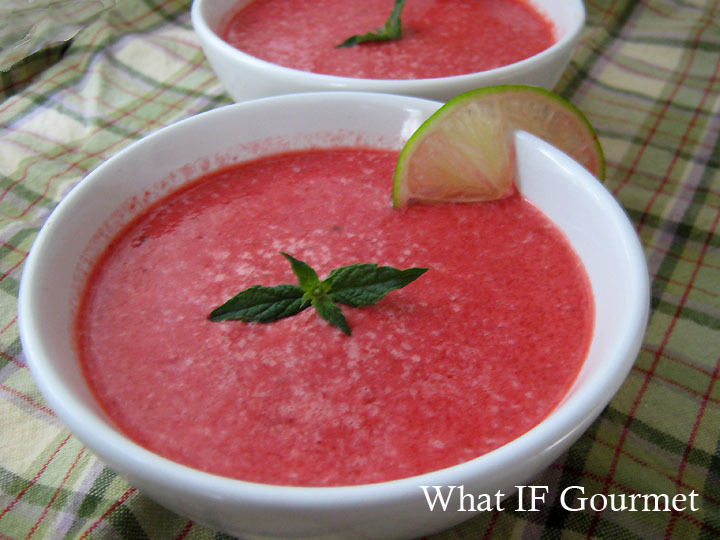 Ever since our trip to Santa Fe in May, the Midwestern Gentleman and I have been dreaming of cold raspberry soup. Since we had perused the menu online before dining at The Shed, our tastebuds were primed for this enticing concoction. Sadly, we were just shy of the start of the summer seasonal menu, so the raspberry soup was not available. We fully enjoyed the mushroom soup we ordered instead, but just could not get the thought of cold raspberry soup out of our minds. With temperatures in Iowa already soaring into the steamy 100-degree range this summer, we decided to treat ourselves to a berry-picking outing at Berry Patch Farm, where we gathered enough luscious red raspberries to give this chilled soup a go. We froze the raspberries as soon as we got home because they’re such perishable little gems. We also figured starting with frozen berries would make putting the soup together a quicker process. (Read: we are impatient, and didn’t want to sit around while the soup chilled after assembly!) Plus, we decided to use champagne instead of rosé, so serving immediately was necessary to preserve some of the soup’s effervescence. While The Shed’s menu description didn’t mention “chile,” we decided in honor of New Mexico to pair the sweet-tart raspberries with a little green chile heat. 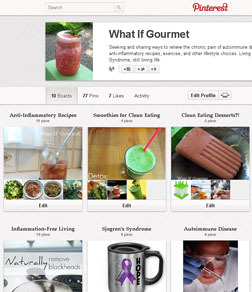 Besides, chiles are rich in the anti-inflammatory compounds this blog seeks. As for the champagne base, well, we’ve talked about alcohol here before. Alcohol does readily convert to sugar during digestion, so it’s not a fantastic anti-inflammatory choice (although there is some debate about wine being a better choice than other alcohols, thanks to the antioxidants found in grapes). To keep the initial sugar content low, I used “brut” champagne, which by definition must contain less than 15 g sugar per liter, which translates to less than 3.5 grams of sugar per cup. I was pretty confident that the anti-inflammatory potency of the chiles, berries, and lime would outweigh the 5 or 6 grams of sugar per serving (that final figure also accounts for the agave nectar) and then some. Besides, to be frank, sometimes mama needs some candy. It’s the occasional, calculated indulgence that keeps me on the anti-inflammatory eating bandwagon. Happily, I experienced no adverse effects after eating the soup, so I’ve added it to my “occasional treats” repertoire. The recipe took a bit of trial and error before we found a keeper. My first attempt at the soup was way too tart, and we could hardly taste any heat from the chile (which I had sauteed in a little olive oil before adding to the blender). For my second attempt, I blended in a little agave nectar and yogurt to mellow the tartness. I added the chile without cooking or de-seeding it, which resulted in an abusively spicy soup, but we also found ourselves exclaiming about the soup’s delicious flavor through the pain. Finally, I struck just the right balance between sweetness and fire by adding the chile raw but de-seeding it first. For more chile flavor than heat, you could remove not only the seeds, but also the inner ribs (with their whitish, capsaicin-laden membrane) before blending. Remove the chile’s seeds (and ribs), if desired. Slice the chile into several pieces. 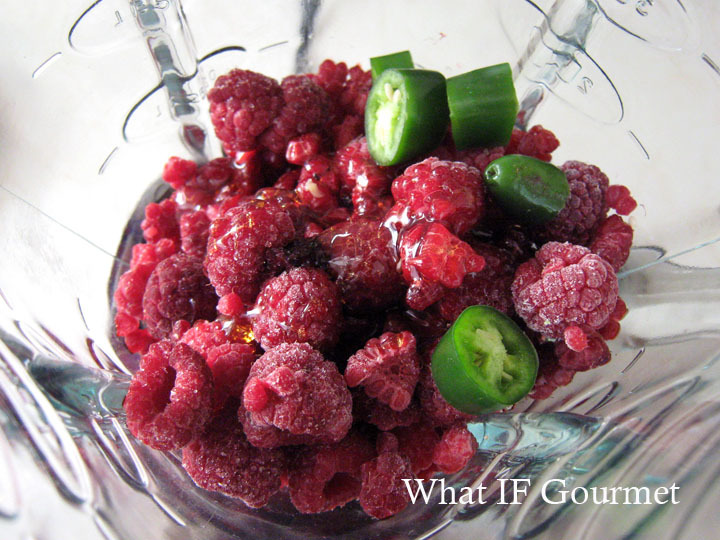 Put the first five ingredients along with 1/2 cup of champagne into a blender and puree until smooth. Add the remaining 1 cup of champagne and stir or blend at low speed just until combined. Pour into bowls and garnish with mint leaves, yogurt or lime slices. Serve immediately. Serves 4. This entry was posted in Anti-Inflammatory Ingredients, Appetizers, berries, chile pepper, Desserts, Domestic, Entrees, Gluten-free, Nut-free, Recipes, Snacks, Travel, Vegetarian. Bookmark the permalink. Ah, that would have been perfect! Next time, I’ll make sure it is!